Exempt yourself from one type of bounty task of your choosing. Each waiver lasts for 30 real-life days. Purchase multiple waivers to extend your exemption period for 30 days each. Tired of rescuing children? Don't like digging for herbs? We've got just the solution! 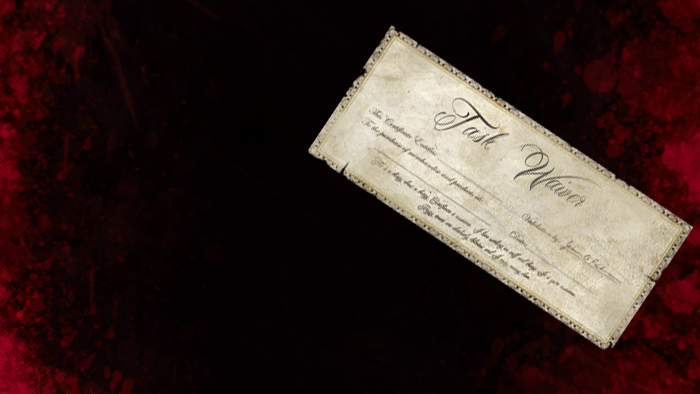 Just redeem one for these handy waivers to exempt yourself from any one bounty task type of your choosing (i.e. Kill Creatures, Procure Gems, Rescue Child, etc). Each waiver is good for a 30-day exemption period and multiple redeemed waivers extend this period for 30-days each! Appearance: "An Adventurer's Guild Task Waiver"